The Q-VPN® is an amalgamation of a number of open source software packages running on an extremely ultra small form factor, low-power-consumption server. The Q-VPN is based on SoftEther, the open source, cross platform, Virtual Private Network (VPN) software package created by the University of Tsukuba, Japan. The SoftEther VPN server software is fully compatible with OpenVPN for Server-to-Server VPNs, as well as with the OpenVPN client. Plus there are SoftEther clients for all other platforms. The SoftEther VPN management software allows for far greater control over VPN connections than OpenVPN. Management is through a Windows software gui interface. The ultra compact design of the Q-VPN appliance allows exceptionally flexible and creative deployment options as well as significant electricity and space savings. We encourage you to go to our website, www.quantalytics.com, for a more comprehensive explanation of the Q-VPN’s enhanced controls and features, and a comparison chart showing its enhancements and improvements verses OpenVPN. SoftEther®(“Software Ethernet”) is the most advanced open source, enterprise-class, multi-protocol VPN server package available today. SoftEther is superior to, and fully compatible with, OpenVPN Server for Server-to-Server VPNs, as well as Microsoft’s VPN server and client offerings, as well as all versions of Microsoft’s operating systems plus Android, Linux, Mac OS, and IOS. SoftEther includes clone versions of OpenVPN Server and Microsoft’s STP Server for full compatibility with already installed VPN clients. SoftEther also includes its own, open source, easy-to-configure VPN client for all platforms. Using the Q-VPN eliminates the need to purchase Microsoft’s Windows Server Licenses for remote access. Management of the Q-VPN server is through an open source Windows software package which we provide. The Windows GUI makes it possible for admins not familiar with Linux or Mac OS to easily administer the Q-VPN server. The software also has very granular controls for VPN access and logging, as well as easy confederation of multiple Q-VPN servers for especially large, multiple VPN, infrastructures. Over 10,000 VPN connections can be supported simultaneously. Webmin is the leading open source Web GUI package for server configuration and maintenance. Webmin also allows for the linkage of multiple Q-VPN appliances for simplified administration. HA Proxy is the leading open source package for automatic failover and load balancing. Up to 32 Q-VPN network appliances may be linked for automatic failover or load balancing for coverage of extremely large networks. Administration is done through a web gui. ModSecurity® (ModSec) is the leading open source Apache web server attack protection package. ModSec is used to harden the Q-VPN network appliance’s built-in Apache web server and prevent conceivable attacks. The Q-VPN has both 1000 mbps (gigabit) NIC and 802.11 b/g/n WiFi. The Q-VPN network appliance is also available as a Virtual Machine (VM). The Q-VPN network appliance is completely administered through a Web GUI. All package usage is via Web interfaces, thereby opening up highly sophisticated VPN administration to even novice network administrators. No Command Line Interface (CLI) or Linux skill is required. Notifications are provided by e-mail using SendMail, which is configured with a module in Webmin, and syslog entries. 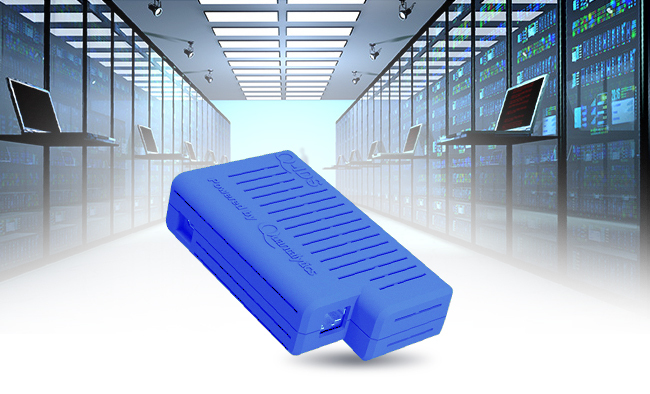 The Q-VPN network appliance can be integrated with Nagios® on the Q-Box® as another notification route. The SMS notification is available as an option. The Q-VPN network appliance can also be integrated with the Q-Log® network appliance or any other syslog or SIEM solution. Q-VPN® and all registered trademarks above are property of their respective owner(s).